The times when only the rich could afford professional cleaning services are long over! Here at That’s Clean Maids, we take care of you by putting competent cleaners in charge of doing your thankless cleaning chores. This leaves you free to concentrate on things that truly matter, such as your hobbies, family and friends. Rosenberg is our home. We are proud of the natural beauty of the Brazos Bend State Park and the old school perfection of the 1883 Historic Moore Home. We want to make our community even better by keeping its houses perfectly clean, and our neighbors happy and free to engage in leisure activities. Let us do this for you! 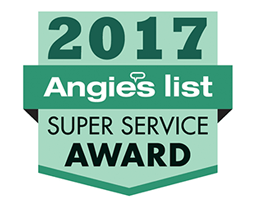 Allow us to match you with the best in the cleaning business. Call us today and find out why we pride ourselves on our 100% satisfaction guarantee! Cleaning your home takes ages, keeping it clean never ends! Fortunately, a cleaning package that's customized so as to meet your needs means you'll never have to worry about cleaning again. Plus, it comes at a flat or hourly rate and no strings attached (no contract). In other words, it's all designed so as to meet and exceed your expectations! The focus of our attention is YOU. It's time to turn your life around and leave the cleaning to someone else. Allow us to show you the way. 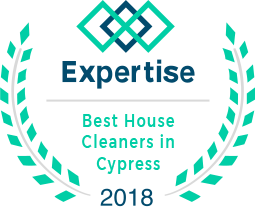 That’s Clean Maids is happy to refer to you the area's leading cleaners specializing in house cleaning in Houston and offering a range of cleaning services designed to satisfy all needs and preferences. Are you a green-thinking person who strives to take care of the environment? Then our eco-friendly cleaning products are the perfect choice for you! Do you have a lot of accumulated dog or cat hair that needs to be dealt with? No problem. The cleaners we work with are trustworthy professionals who will gladly go beyond the call of duty to meet your cleaning needs, no matter how specific they may be. Should you be unhappy with any part of your cleaning experience, they will happily fix the problem within 48 hours. They’ll do it free of charge, too! They also provide maid cleaning services in Humble, maid cleaning services in Atascocita, maid cleaning services in Richmond and maid cleaning services in Sugar Land areas. 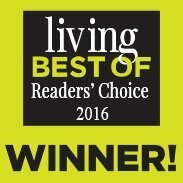 Call us and discover why we’re the best locally owned cleaning referral agency! 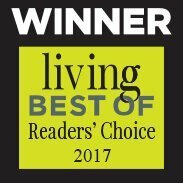 To give you the best service, we only choose the best cleaners to work with! They first go through an extensive background- and reference-checking process to ensure they’re veterans of the trade. But it doesn’t end there! We continually improve our service using the feedback we receive from our clients. After the job is done, you will have an opportunity to fill out an online survey and tell us exactly what you did and didn’t like about your cleaning experience. We take our 100% satisfaction guarantee very seriously! Getting cleaning assistance has never been as easy as it is with That’s Clean Maids. Your safety is important to us. This is why we have a strict background and reference check process in place. What's more, all cleaners are insured. A clean home is great, but what good is it if you don’t have the time to enjoy your life? Let us make all the arrangements for you! An effortless payment process makes paying for the service cakewalk. Rest assured you will never be charged for a service until after it has been provided. We want to hear all your likes and dislikes. You’ll get to fill out an online survey after the job is done and tell us everything we need to know for the purpose of continuing to make improvements. We are readily available through phone or e-mail. We will also automatically keep you updated about your scheduled cleaning.